Of Exoskeletons……..Lord Aragorn. Where is he?…………..He Fell. 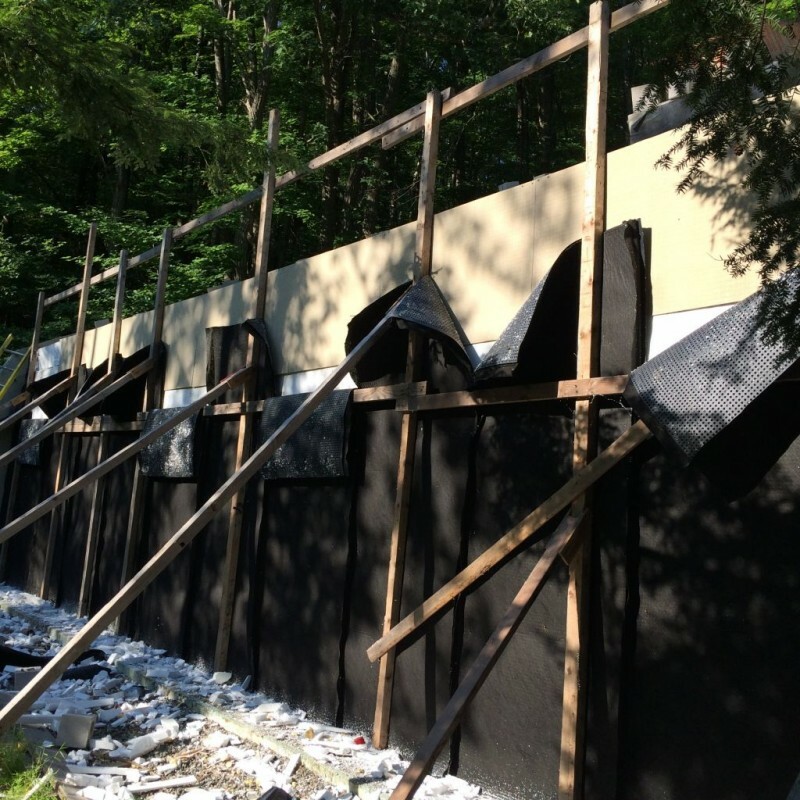 Welcome friends of Middle Earth to another installment of the Hobbit Hollow Construction Blog! Glad to have you back again as always. We’re making progress bit by bit and I think we’re going to start to see some new developments in our little humble home over the next few weeks so hang in there! Bear with me here a moment because this ones worth listening to. The short version here Jim because most people really don’t care about the movie. The short version: In the battle with the Warg riders Aragorn’s hand gets stuck in a wargs reins as he’s killing an Orc. He can’t free himself from the warg and falls off the cliff with the warg. Got it so far. When his friend Gimli the Dwarf gets to Helm’s Deep the Lady Eowyn (who has fallen in love with Aragorn) is looking for Lord Aragorn. She asks Gimli, “Where is Lord Aragorn?” to which Gimli replies in a choked up voice, ” He fell.” For they all know what a great loss has befallen them. That wasn’t so bad was it now. So flash forward to the real world. 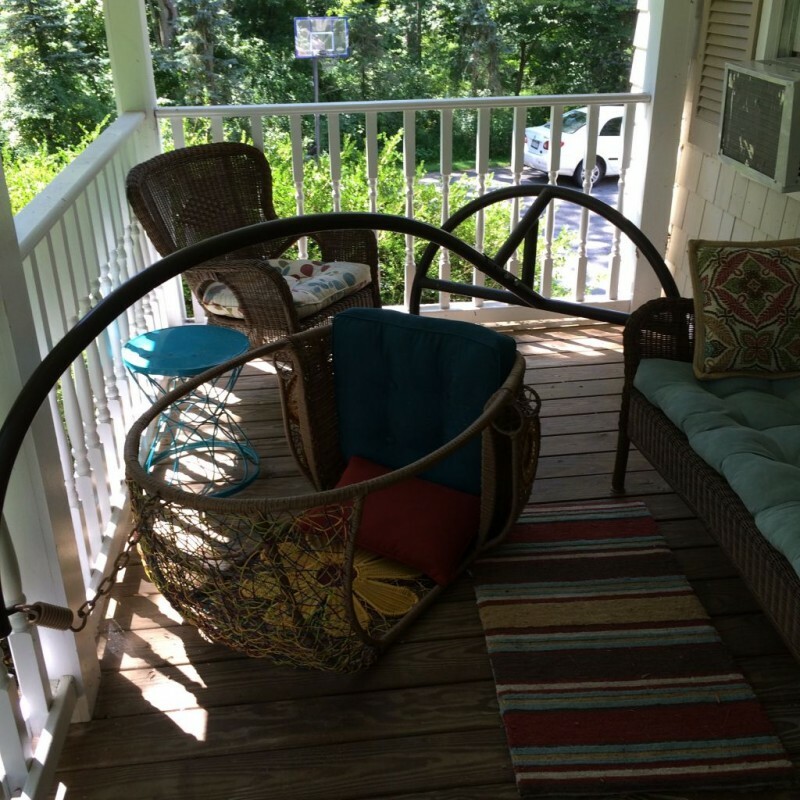 I’m sitting on this 1960’s hippie chair the Editor bought last summer talking to my mother on the phone. Let me show you a picture of this thing because it’s important. 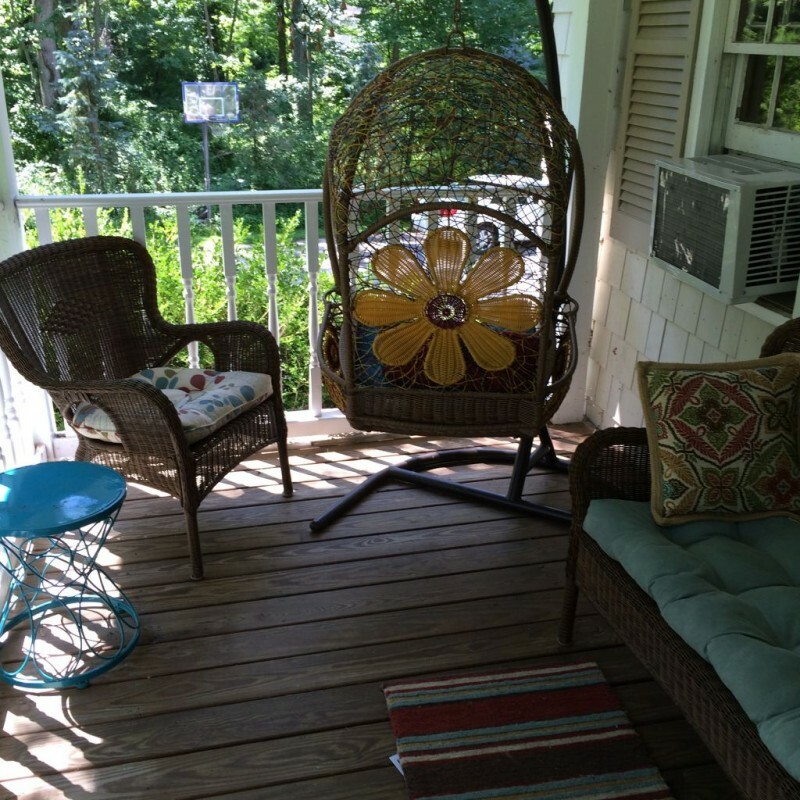 Flower power chair my wife bought. So I’m sitting in this chair in this position with my feet up on the handrail. I’m pushing my feet against the hand rail as I’m talking for whatever idiotic reason. So I’m basically tilting the whole base of this chair on edge. Like I said why I’m doing this I don’t really know, but I’m doing it nonetheless. Did you ever hear someone say something happened to them and it was like in slow motion. As if they were having an almost outer body experience? Well that’s what kind of happened to me. As I’m sitting there I realize that I’m no longer in control of my position system. I’m actually thinking to myself, “Jim, there’s something going awry here and you better stop pushing your foot against that railing!” My next thought is “No Jim it’s too late your flipping this chair backwards and there isn’t a hope that you can stop it now.” Keep in mind I’m listening to my mother on the phone while this is going through my head. The next thought is “I better protect myself and cover up so I don’t split my head open here!” My last thought was “Hey, Tony did a pretty good job painting the ceiling out here.” And then crash!!!!! The Editor and Terence were in the living room when this happened. The Editor bursts through the door “Oh MY GOD WHAT JUST HAPPENED!!!!!!!!!!!!! !” Terence is on the ground paralyzed with laughter. He honestly didn’t stop for over an hour. I had to go out back to finish my conversation with my mother. Terence called up Jude to say, “He fell.” Not in a choked up voice though. That’s my amusing story for the week. Sorry folks. Final position of the chair. Put me in there and you get the picture. Let’s move on shall we folks? So Jude and Terence have been working away at the house. Jude went to the Jersey shore with his friends on Thursday for a mini adventure but they got quite a bit done in three days. They finished installing the 1/4 inch hardi backer board on the roof. It came out really well. 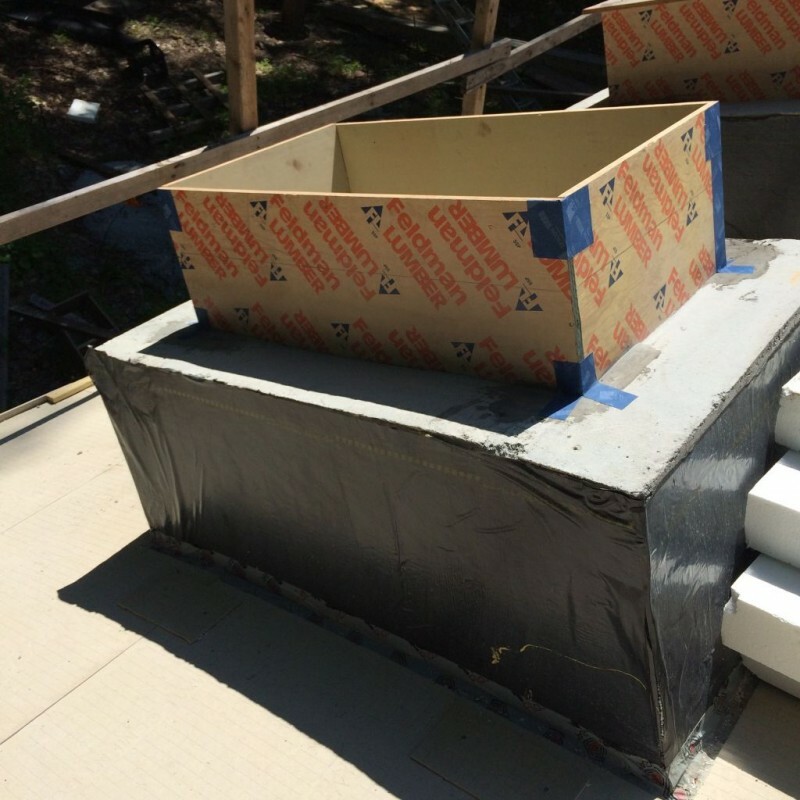 Remember this layer is installed to keep pests out of the styrofoam. I think it’s going to work. Check it out. I also had them install a board on the vertical wall side. We used pressure treated 5/4 x 6 screwed into the roof backer board to secure the side pieces from moving. A little hard to understand so let me throw a picture in to help. Vertical board installed to prevent digging critters who want to go down and in. I cut the 5/4 at the roof pitch so everything would fit nice. Here’s a different shot. The boys also started the interior framing. 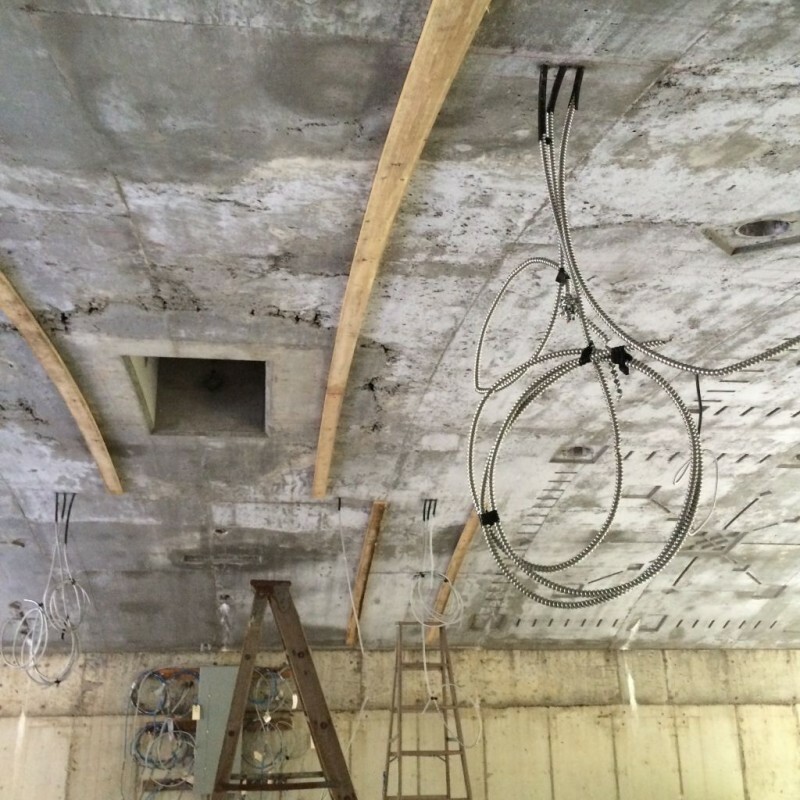 We had laid out the walls a while ago so now it’s just a matter of transferring those lines to the ceiling, snapping them up there and then installing the top and bottom plates. It’s actually quite a difficult task because of the curvature of the ceiling. Once I showed them how to do it they actually flew through it. Here are a few pictures. Top and bottom plates being installed. On my end I began air sealing the skylights. 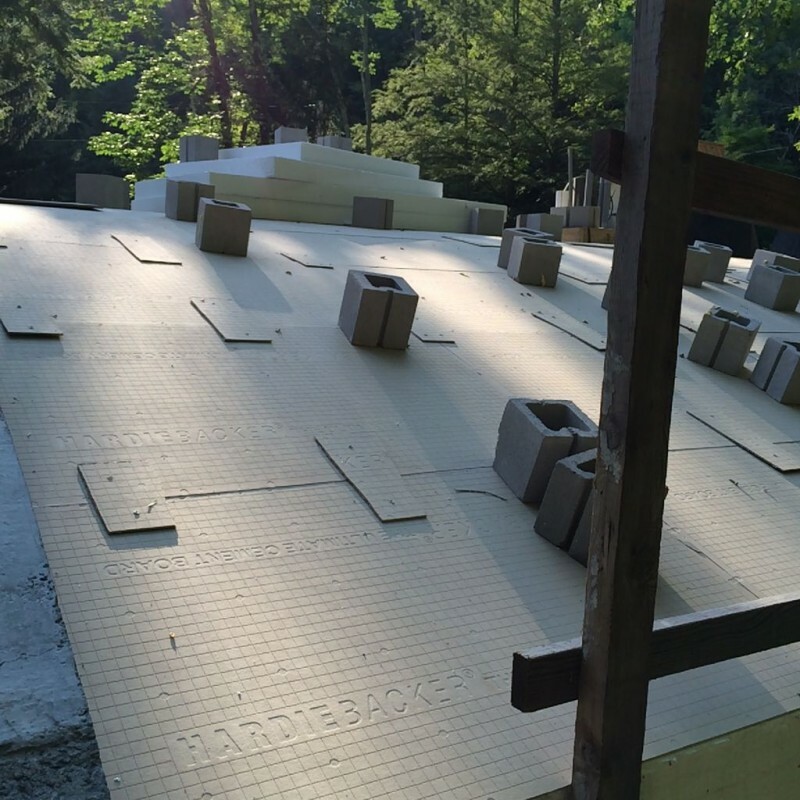 It may sound trivial but this is one of the most important aspects of a Passive House. All the insulation in the world won’t do a bit of good if you have a drafty house. So this is crucial. 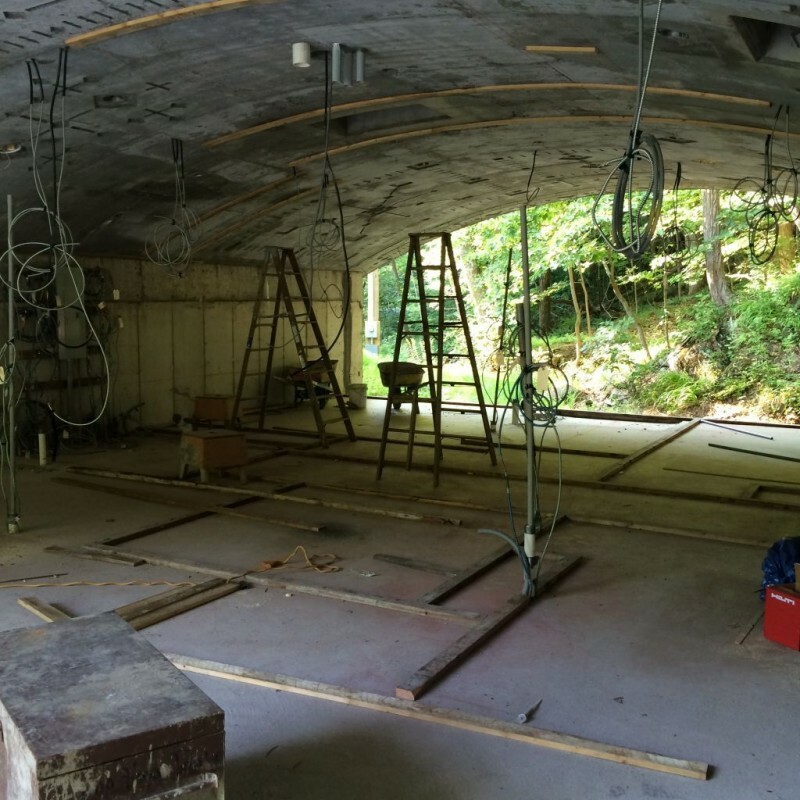 In the Passive House world concrete is considered airtight for the most part. So I was never overly concerned with air sealing the concrete. We did, however, waterproof nearly the whole foundation which is definitely going to help. The skylights are really our first weak spot. So let me show you what I did. The first thing you need to do is buy some really good flashing tape. 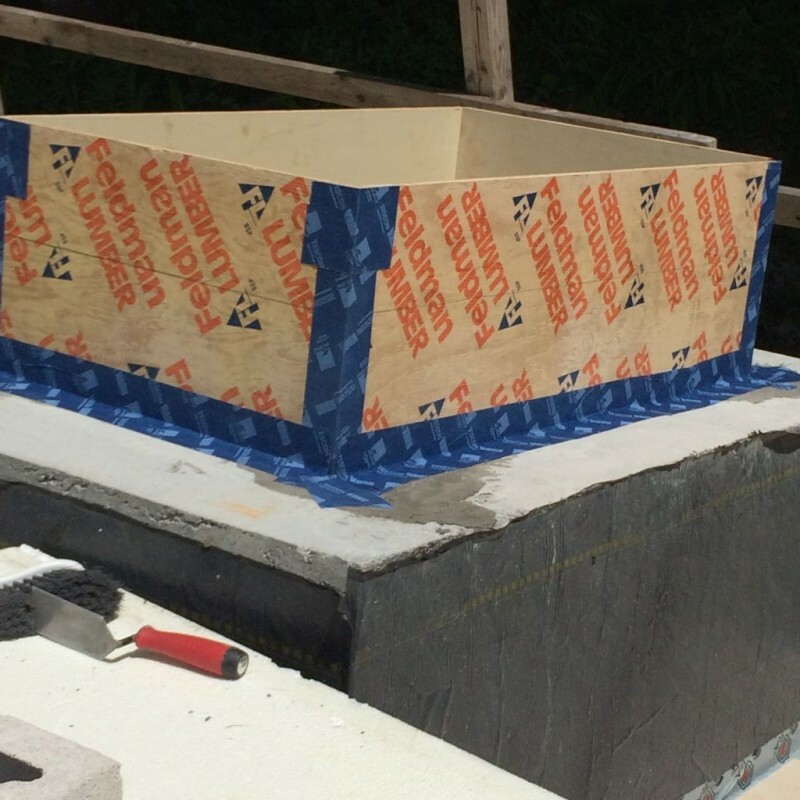 I used Proclima Tescon Vana tape. This stuff is really expensive. $65 dollars a roll expensive. It’s waterproof, airtight, and what they call vapor open. 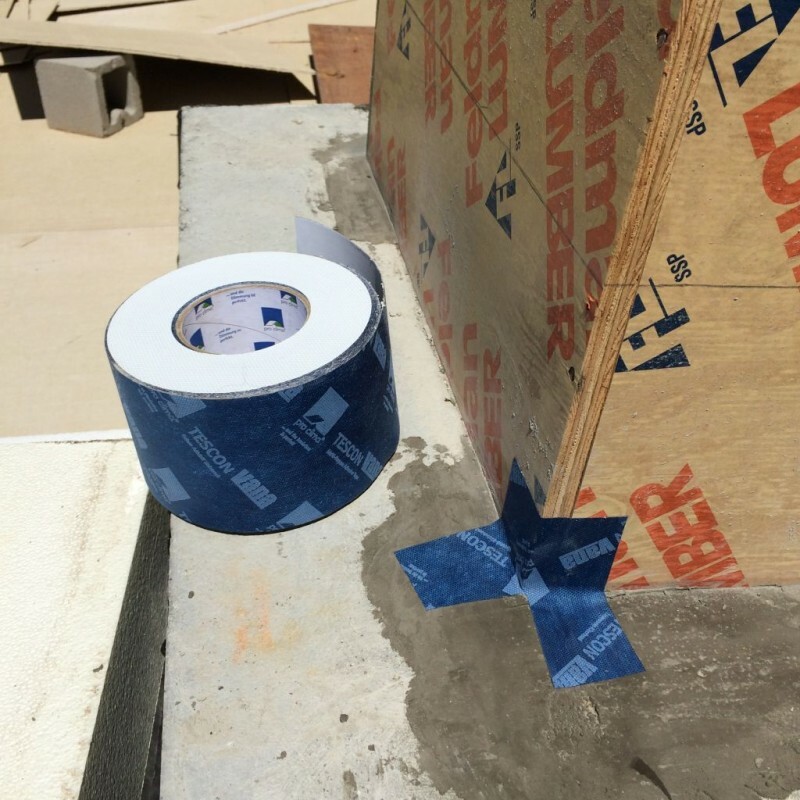 This means that if there’s moisture on one side of the tape it will be able to dry to the outside. I don’t know how that works, but that’s what the science is telling us. So what I did was tape the corners of the skylights and then do the long sections. You have to take your time though in order to do a good job. Check it out. Air seal the corners first. Get the top as well. Long pieces overlap the corners all the way. So now we are ready for step 3 of the skylights: Insulation. Hmmm. This will be our challenge next weekend! 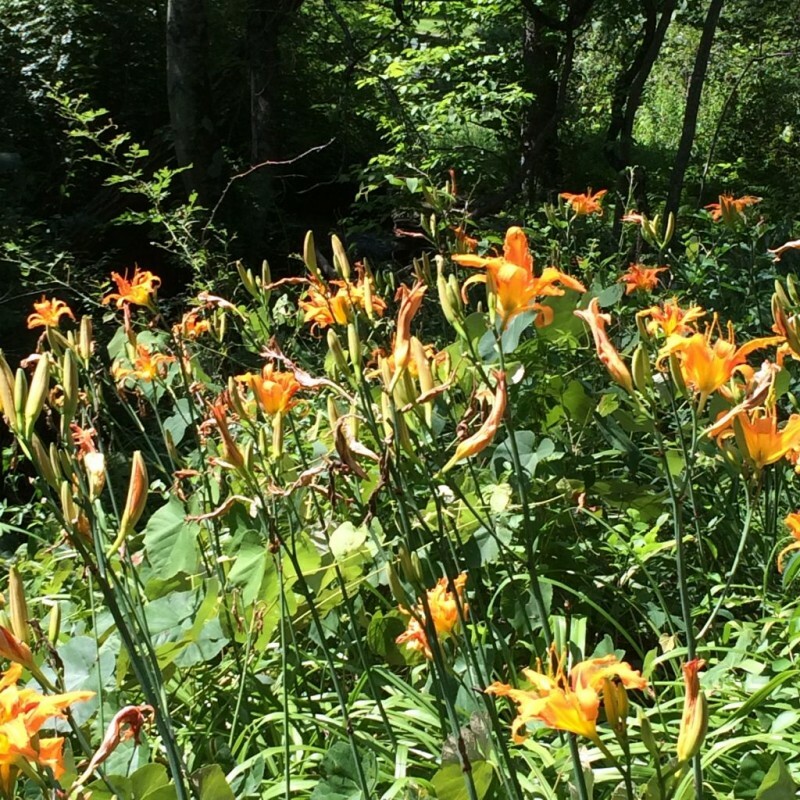 Tiger lillies in bloom at the house. Had to throw that in there for Sally H. I haven’t seen any violets yet though for the record Sally. I hope everyone is enjoying their summer! 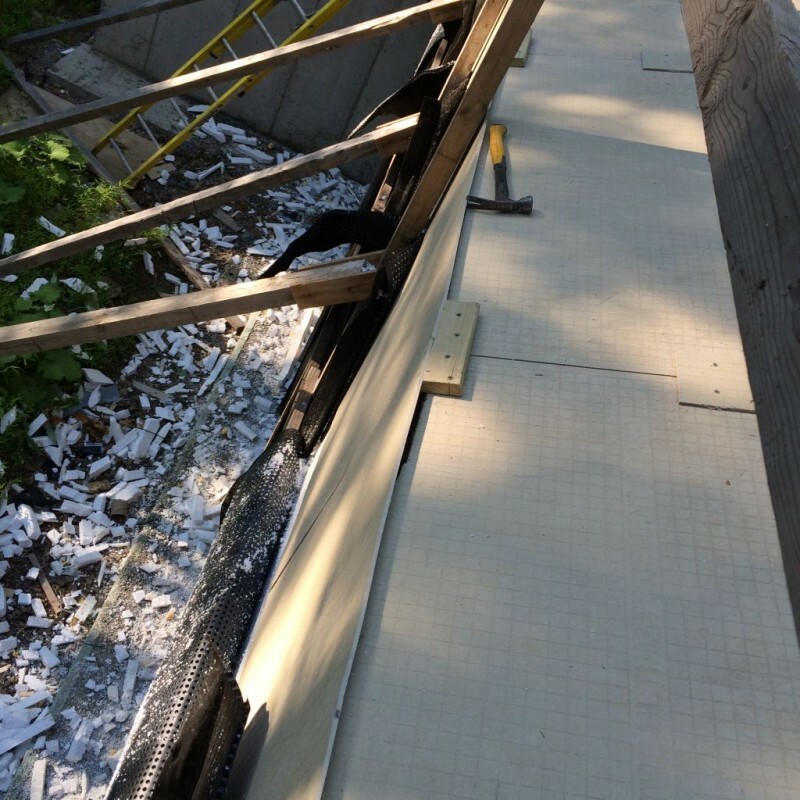 Of Skylight Insulation…..Phase II Subpart a….Okay So there’s a lot of Parts to this! I usually throw a handful of daylily flowers onto my egg sandwich. It’s good for the digestion.